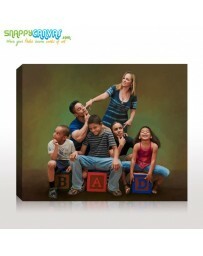 Every home deserves to have a proud family portrait painting masterpiece. 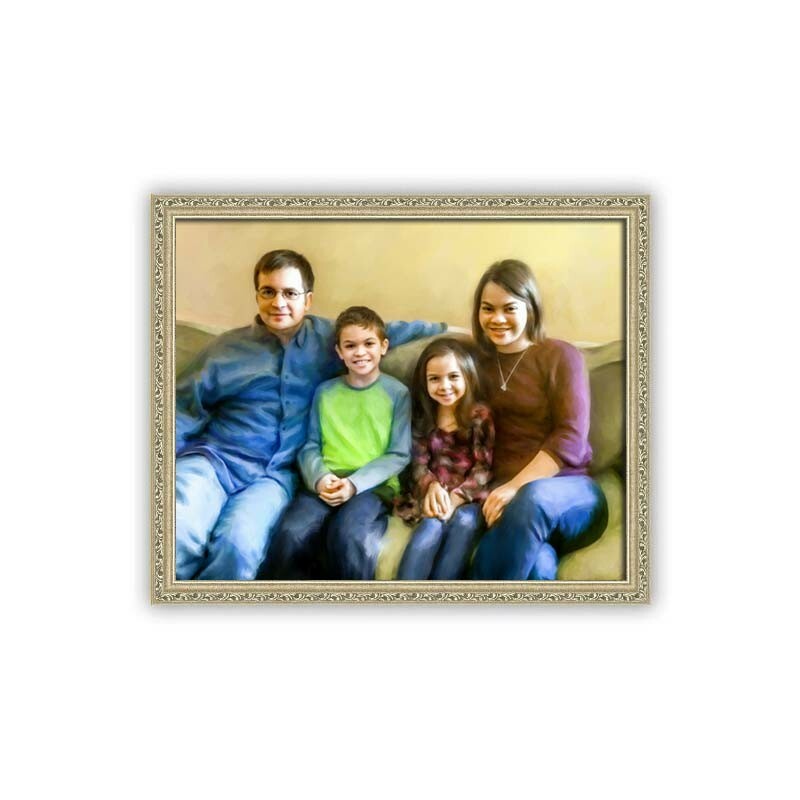 Share and preserve your family legacy with a fine handcrafted personalized oil style painting from picture. 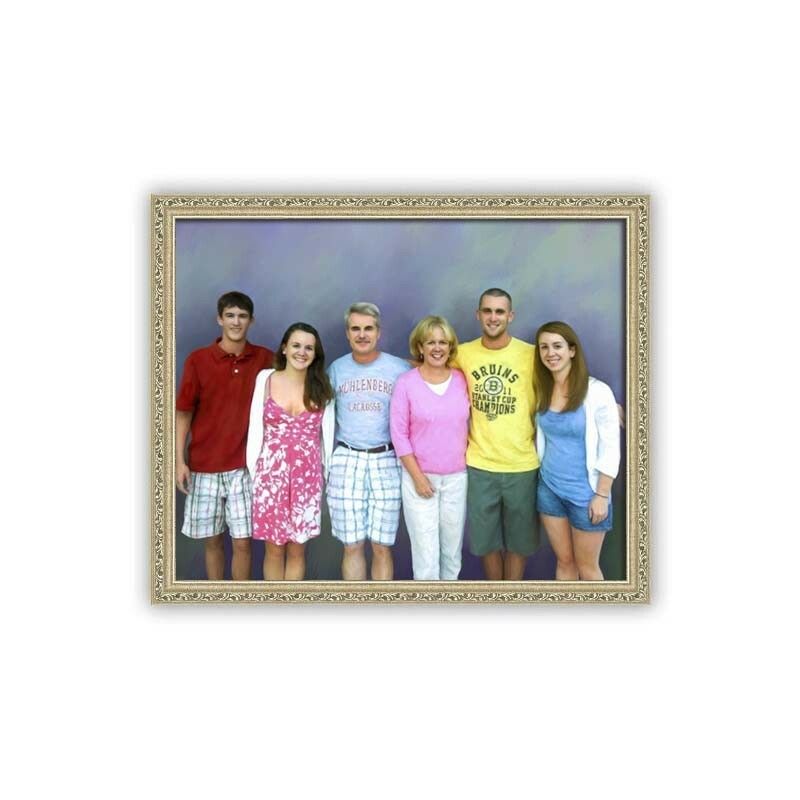 Our most warmest memories are the times spent with Family. 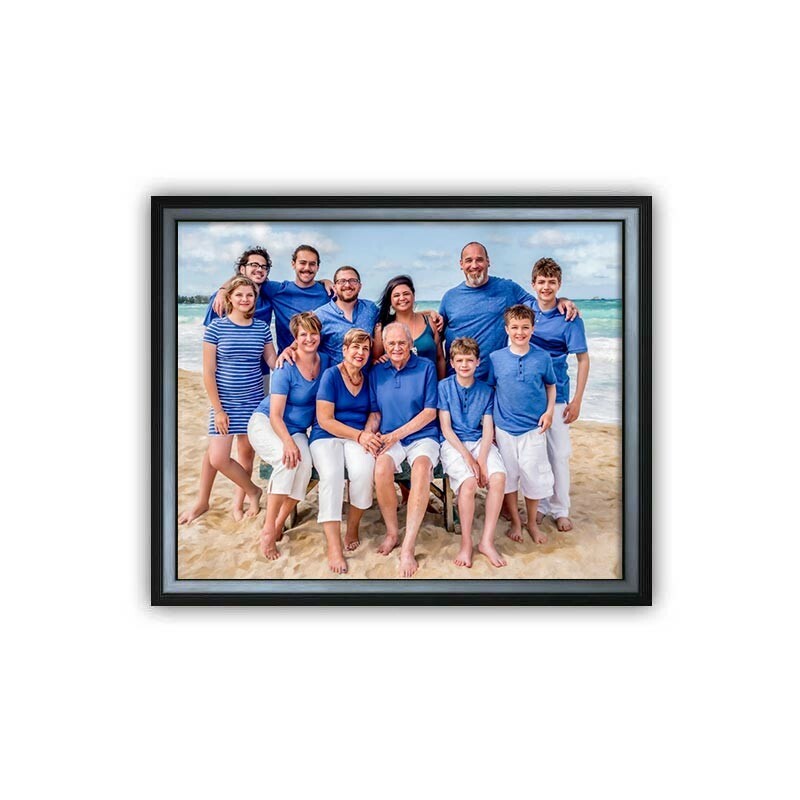 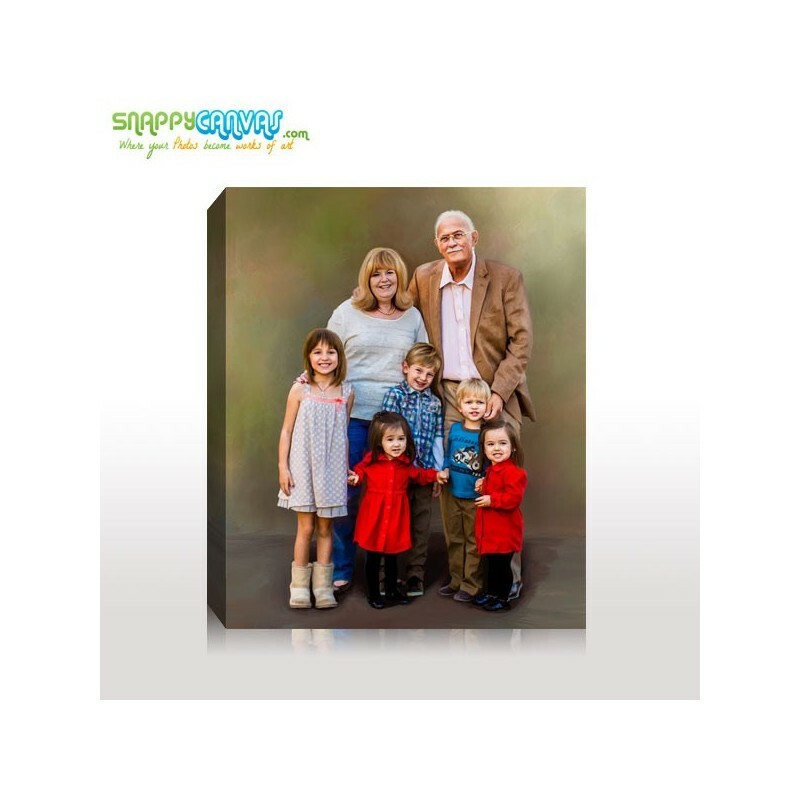 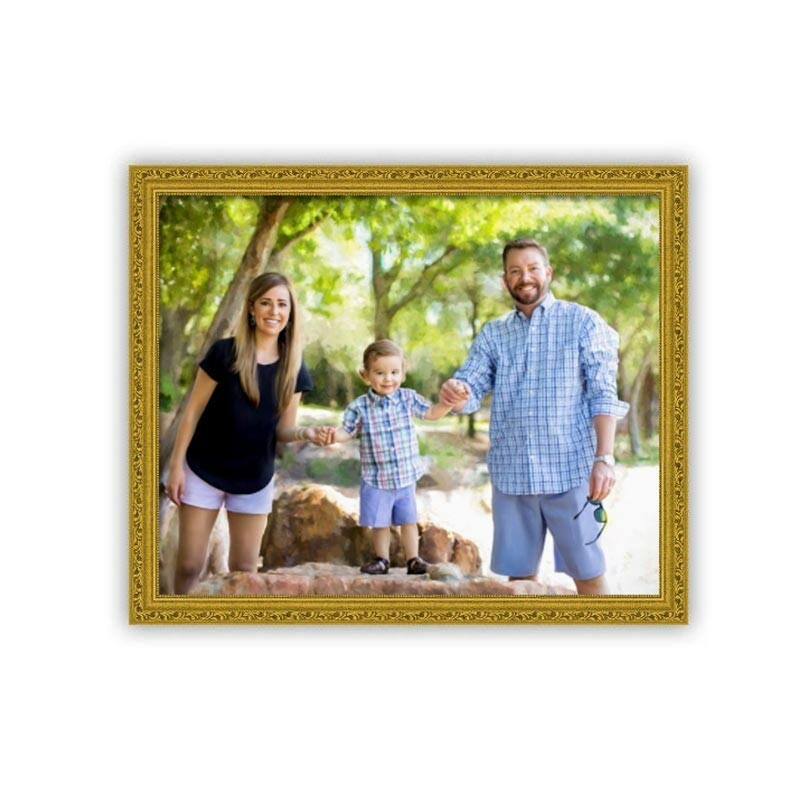 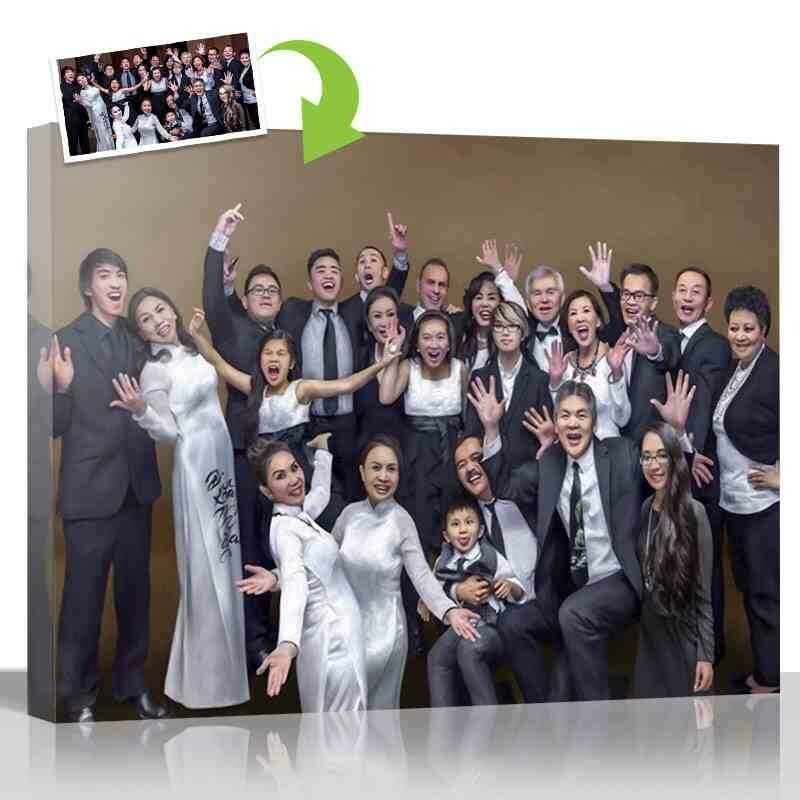 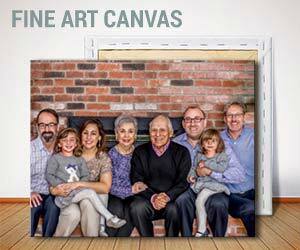 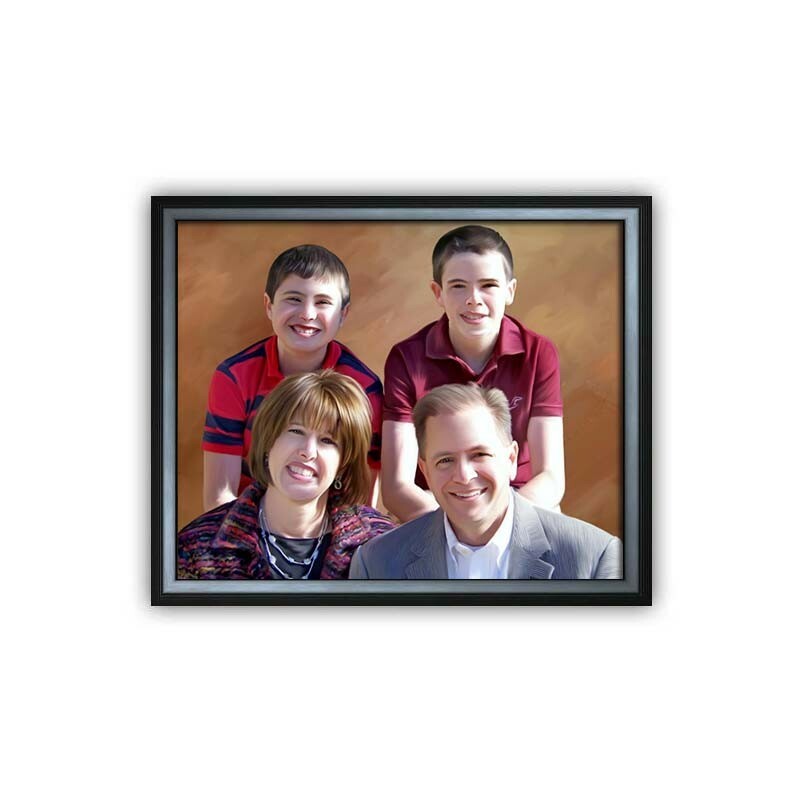 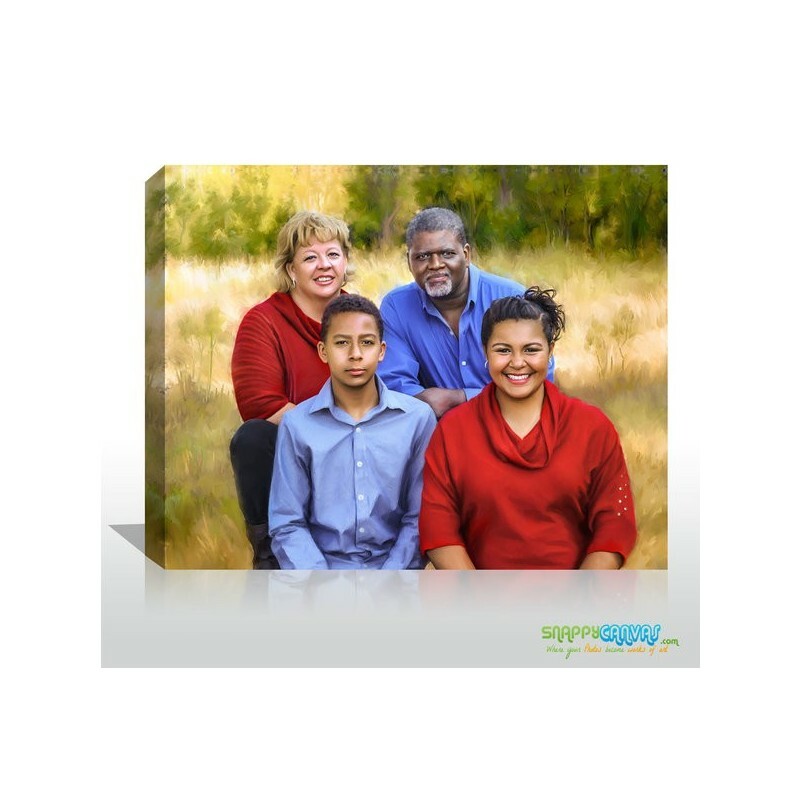 Celebrate family with custom canvas painting. 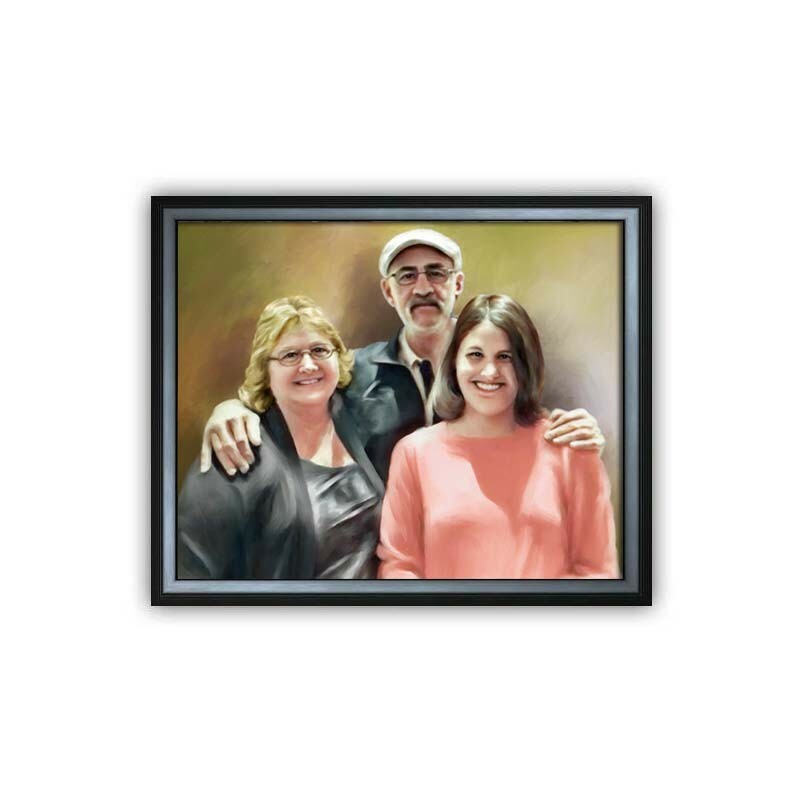 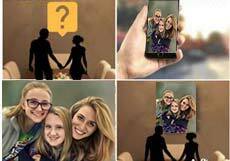 When you turn a family picture into a family painting you are not only creating a valuable piece that can be enjoyed in the present. 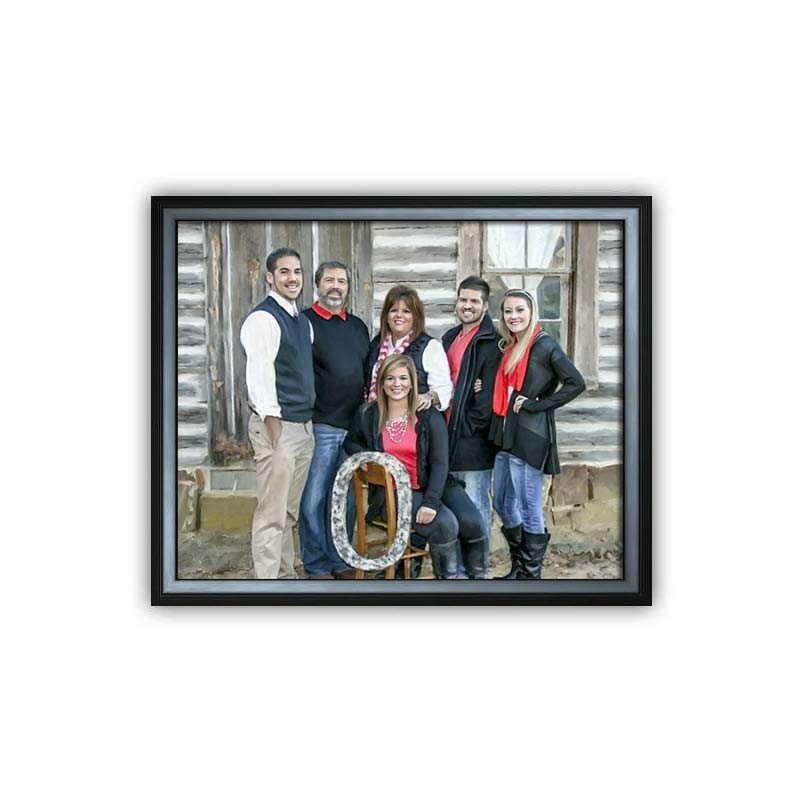 You are creating a keepsake that can serve as a treasured heirloom, passing on your proud family heritage to the next generations. 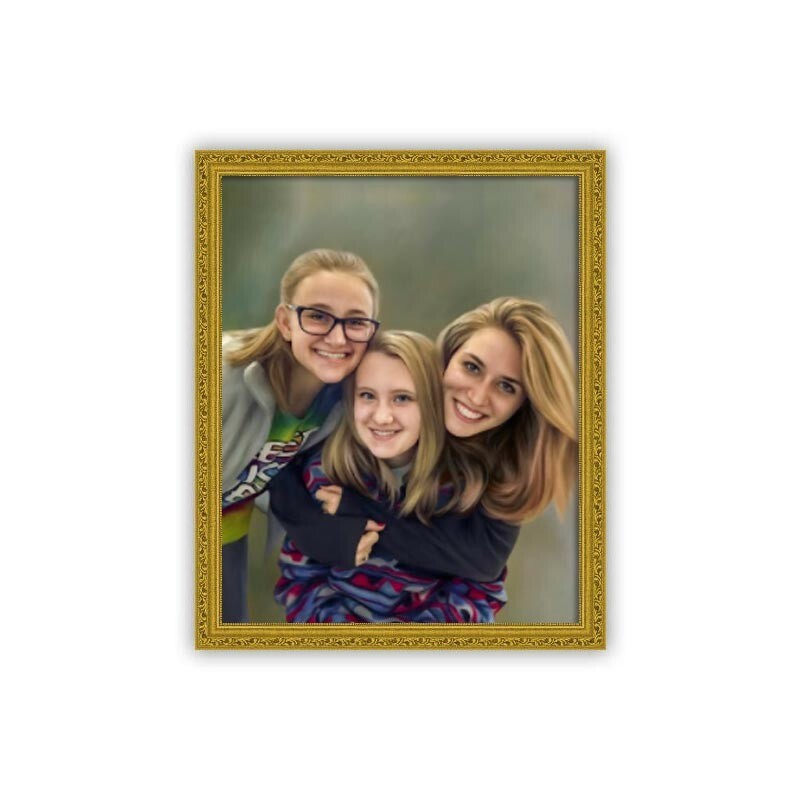 While framed photos become dated and lose their lustre, a painting made from your family photo remains classic throughout time. 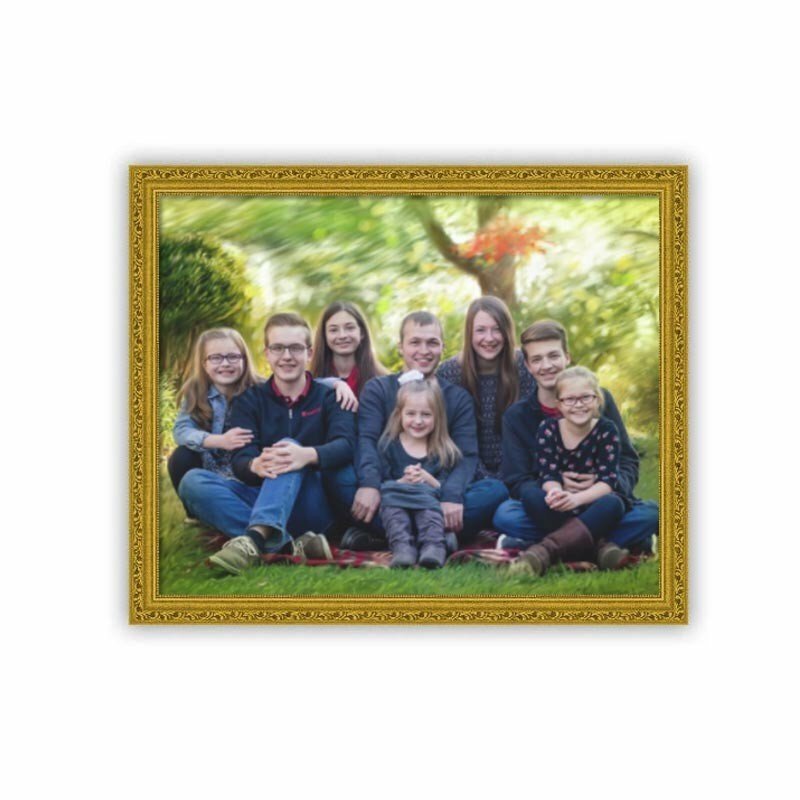 Once you have uploaded the picture to be turned into a family painting, and selected from one of our 5 beautiful finishes, our Artists will get to work on creating a highly detailed painting from your family photo. 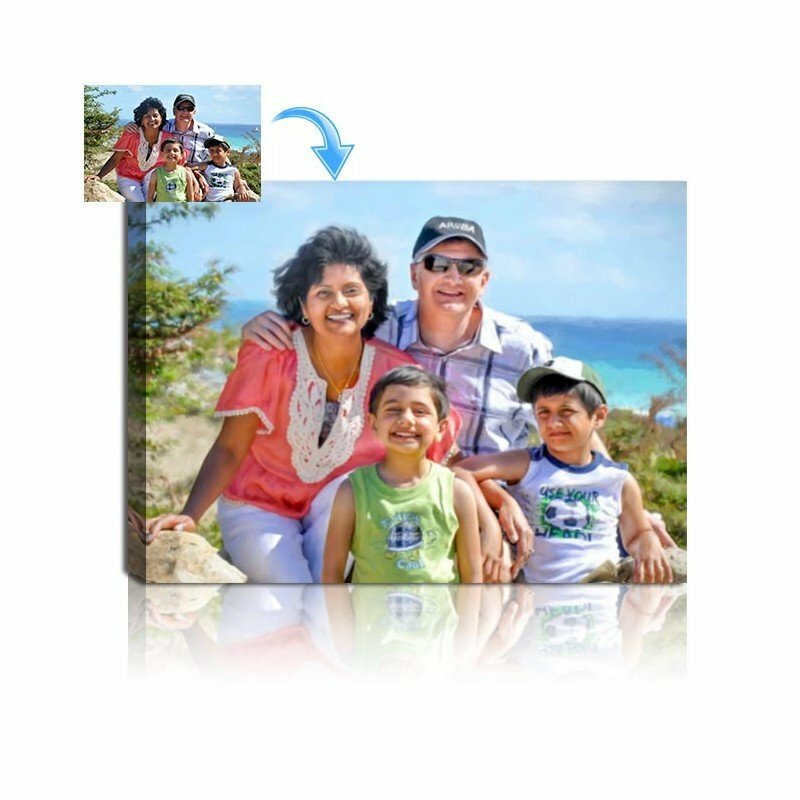 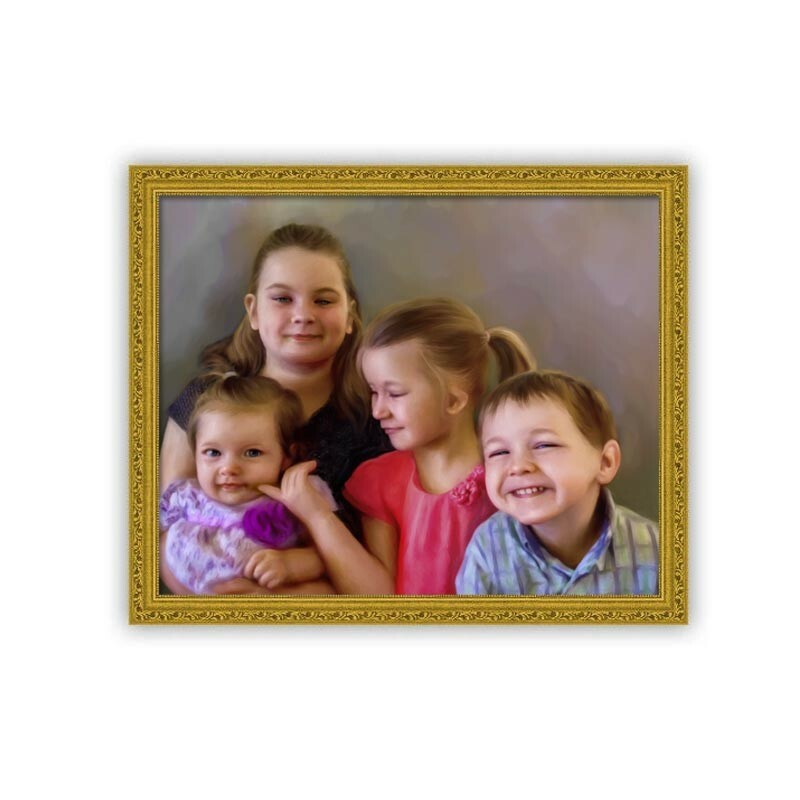 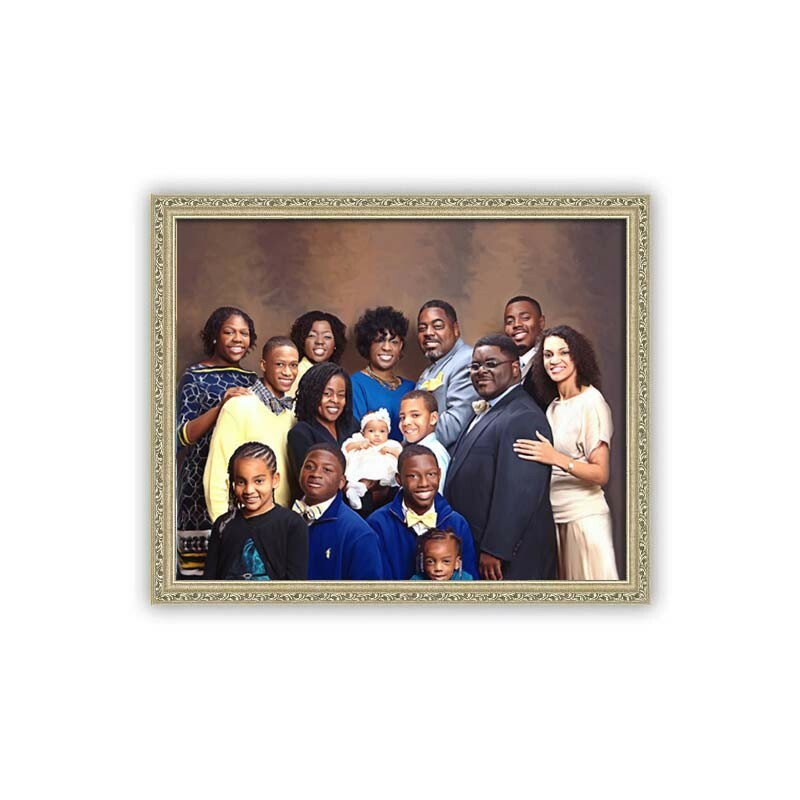 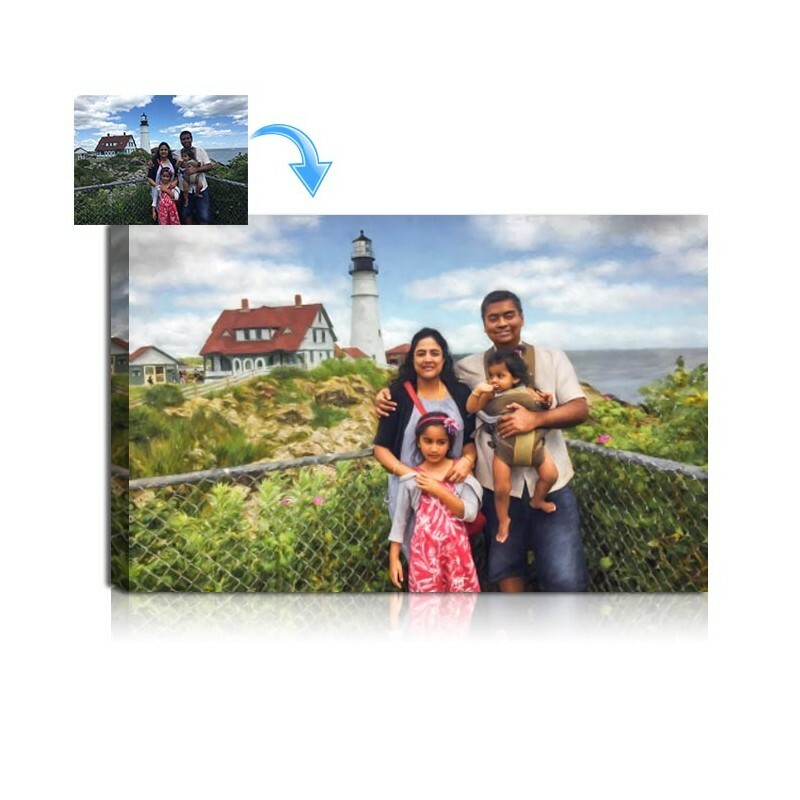 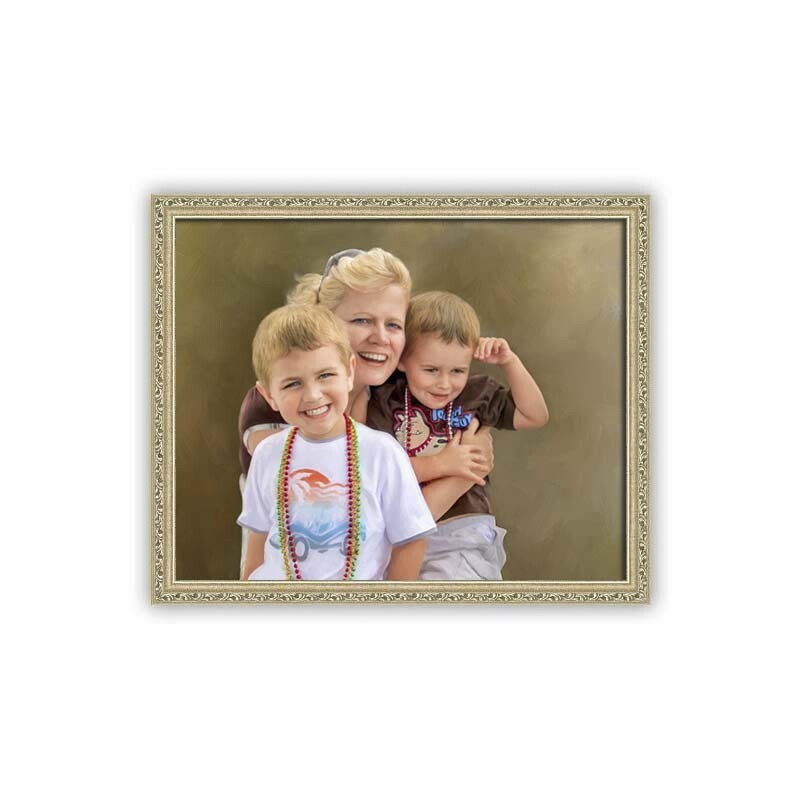 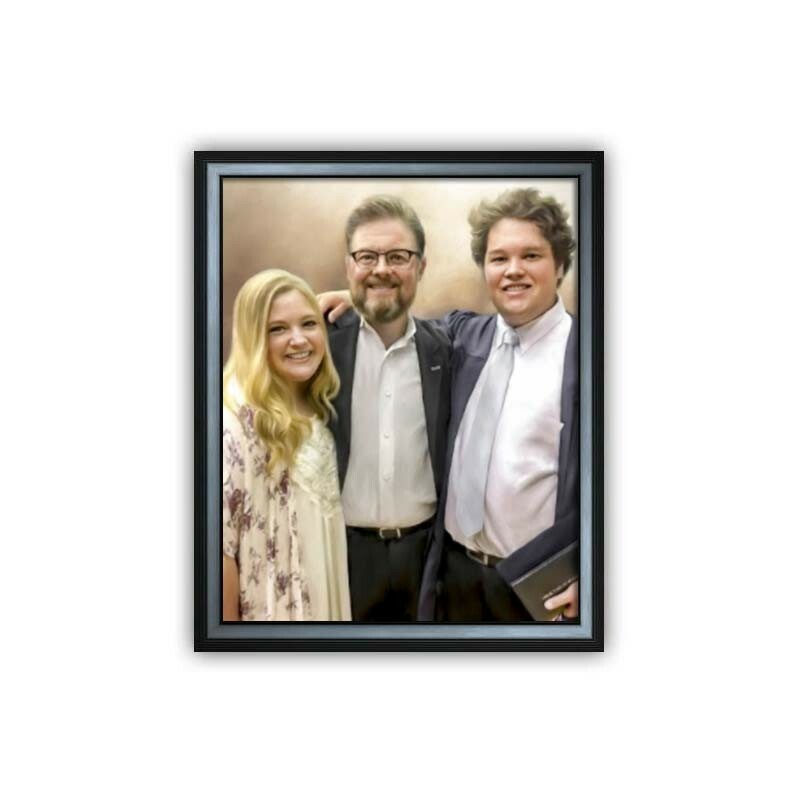 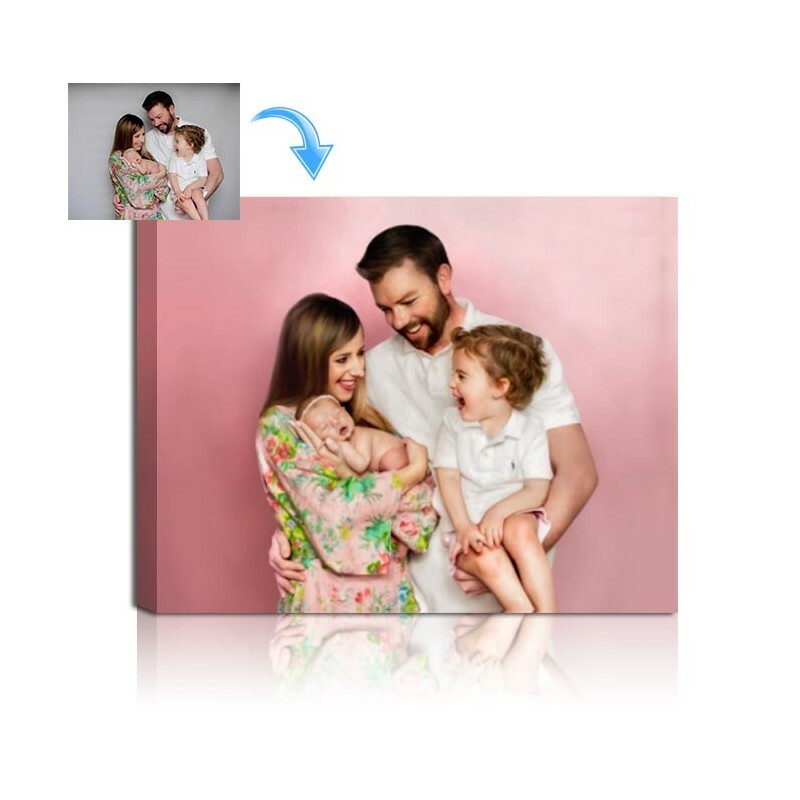 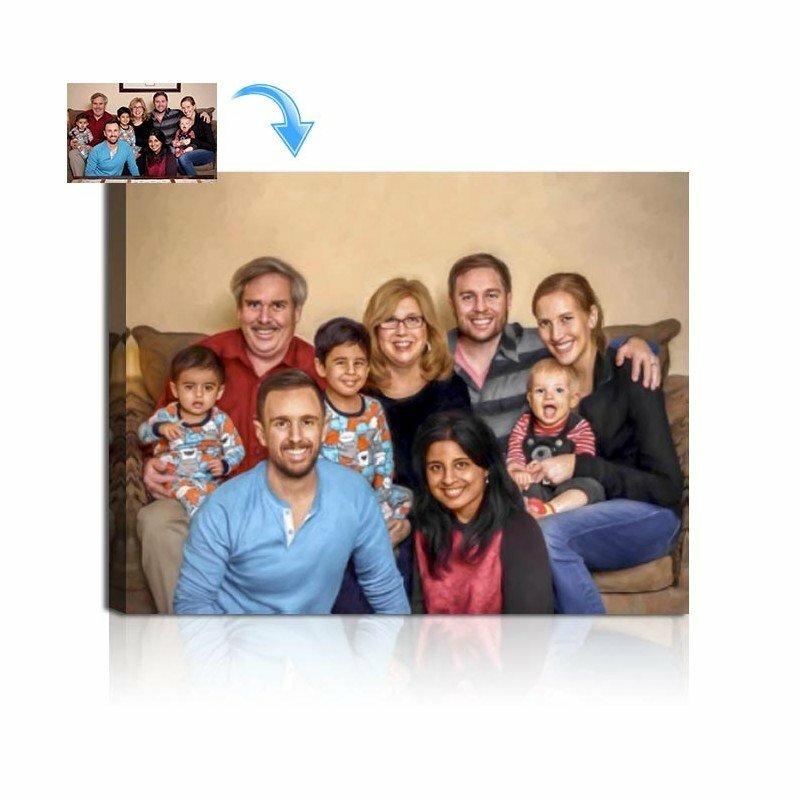 A digital proof from your hand digitally painted family portrait will then be sent directly to your email for your review, if you’ve chosen to include the E-proof option with your order. 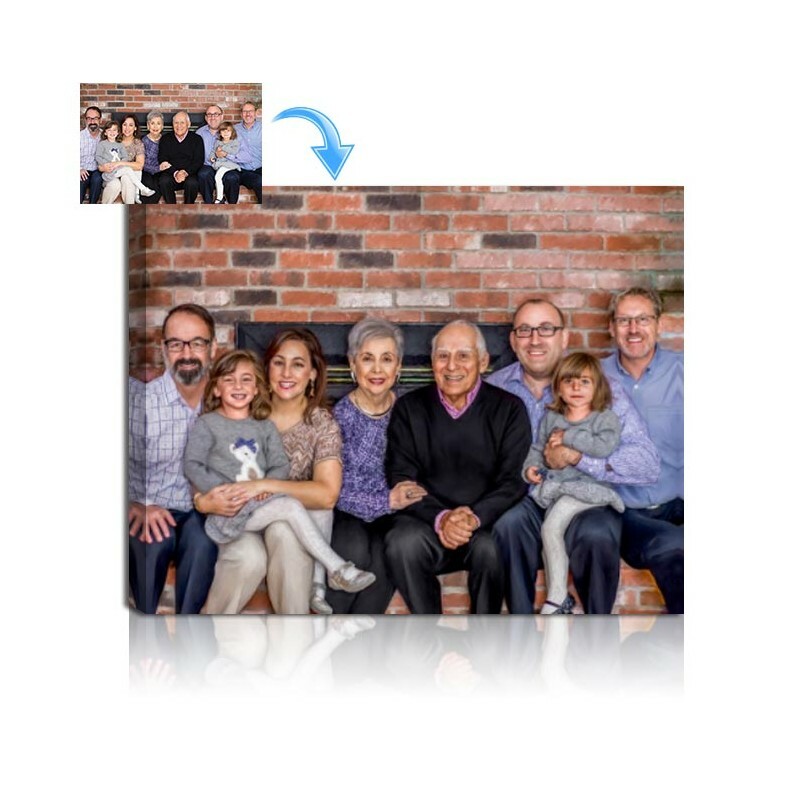 We will work with you to make sure the painting meets or exceeds your standards, by revising it as needed.We suggest sending us your largest most highest quality images, however we are able to do amazing things even with small old and tattered images. 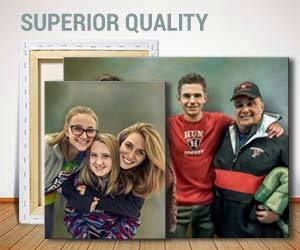 Our works are constructed using fine art quality materials so your prestigious family portrait painting will endure the test of time, and your masterpiece will exude elegance. 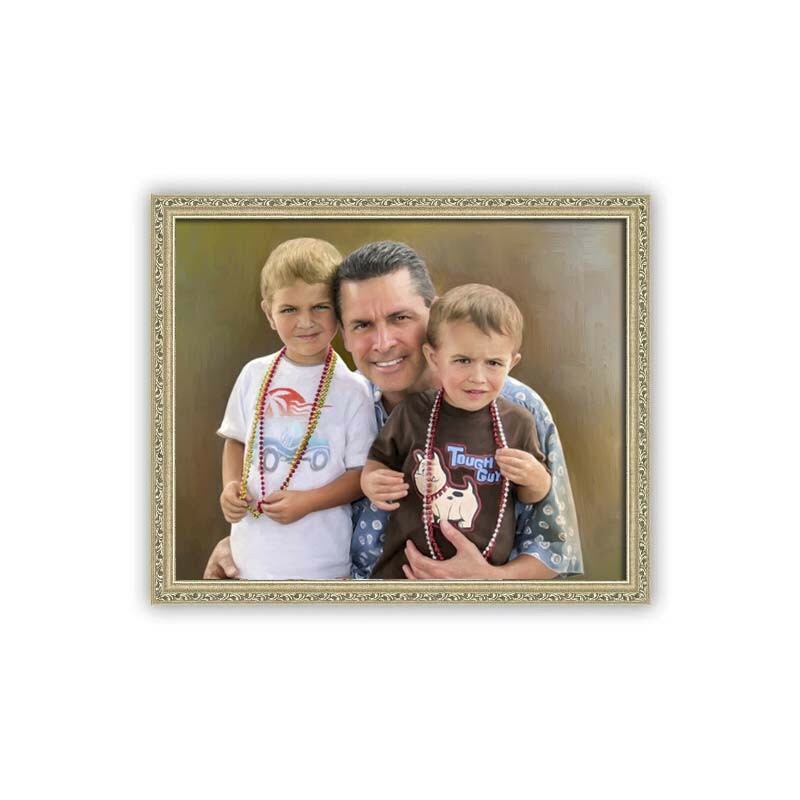 We use only real sustainable wooden stretchers 100% handcrafted in the U.S.A. Snappy Canvas stands behind its workmanship and offers a money back return guarantee. 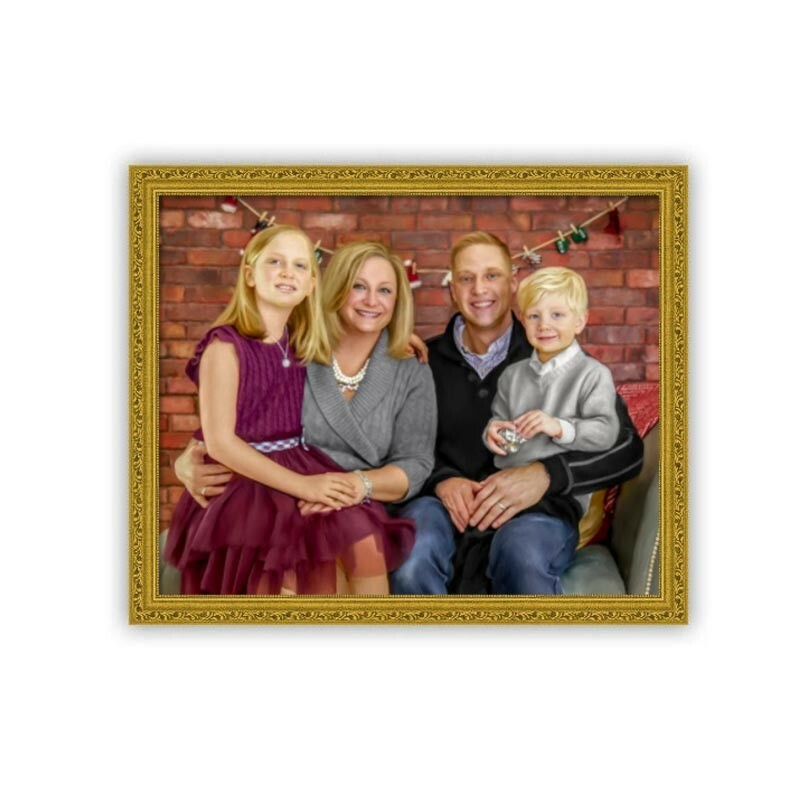 Don’t be shy to ask for our help or recommendation, we are ready to work with you in creating your personalized family painting.